Little cartoon versions of you and your loved ones. 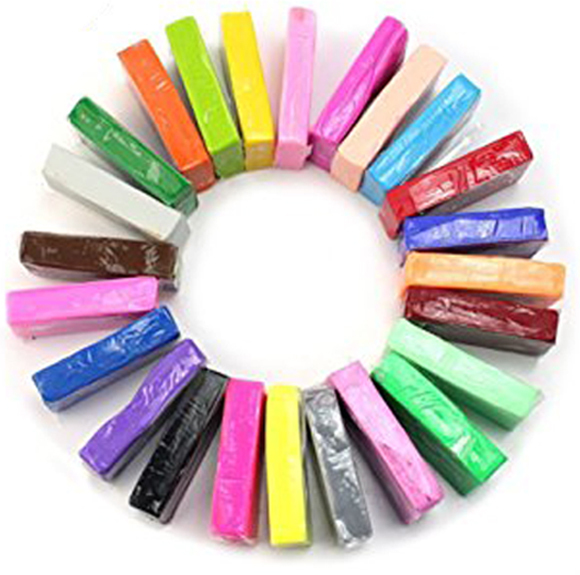 Toppers are a fun and imaginative way to personalise any cake. Using your images and ideas we can design and make toppers for any cake and occasion. How we create these detailed characters. Ollie is the artist who creates these detailed characters from polymer clay. He will take your photographs and turn them into little 'cartoon' versions of you and your loved ones to keep as a delightful memento which will last long after the cake has been eaten and the guests have gone home. He will copy clothing, for example a bride a groom could be dressed as they would be on their wedding day, or dress the figures as characters, such as Princess Leah and Hans Solo. He can make motorbikes, cars, trikes, planes or boats, include pets, hobbies or life long passions in the design and in fact, he can make a whole wedding party, if that's what you want. When making the toppers, Ollie will rely on your photographs, so the better they are, the better your topper. Try to make sure that the pictures you send are taken in natural light, taken from the front and from the side and with a happy expression. If you wear glasses, he will need to see them, or, conversely, if you won't be wearing glasses on the day, he will need a picture without the glasses. You can send magazine shots of hairstyles, as for example a bride may be having her hair in a certain way, but may not have a picture of her own hair in that style. A magazine shot will do just fine, the same goes for outfits. Along with photographs, a written explanation is helpful, as eye colour and hair colour can often be misleading in a photograph. Basically, the more information Ollie has to go on, the more accurate and personal your toppers will be. We can post your toppers to you. 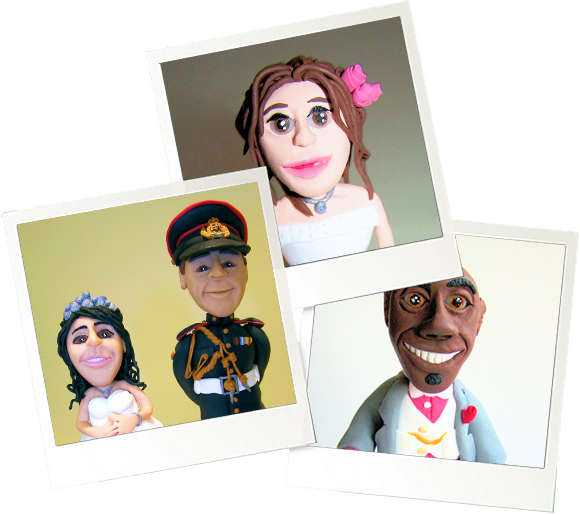 The price of postage and packaging will obviously depend on what you have ordered, but to give you an example, 2x figures (bride and groom or equivalent), would be £9.95 P&P. If we are delivering your cake as well, we will simply bring along the topper and arrange it as previously agreed, along with the cake. Collect items from our Shop. You can collect your toppers directly from us by visiting our shop.